New York City has a lot, A LOT, of restaurants, and people love, LOVE, to talk about them. For some it’s a way of showing you are “in the know” about an obscure place no one else has discovered. For others, it’s a way to demonstrate their refined tastes (and large wallets). But, for most New Yorkers, it’s just a way to share their passion for food. People here love to eat and talk about eating. (Not so much cook… when we moved into our apartment, the prior residents left behind laundry cards and their favorite take-out menus as a welcome gift). The only problem is that to try out many of the best restaurants in the City you really have to commit to an entire meal and pay a large bill. That’s fine for a special occasion, but what about those of us whose wallets are thinner? When a special occasion happens once a year and not once a week? Are we supposed to miss out on the best of New York? I guess you could stroll into Per Se, Le Bernardin, or Il Mulino and boldly order an appetizer with a glass of wine (and nothing else), but that would be totally uncool. Totally NOT New York. Luckily, David Chang has solved that problem for us when he created his little empire of restaurants that make some of the best food in New York City, with no pretension. It is difficult to choose my favorite David Chang restaurant. Momofuku Noodle Bar? Yes! Momofuku Milk Bar? Yes! 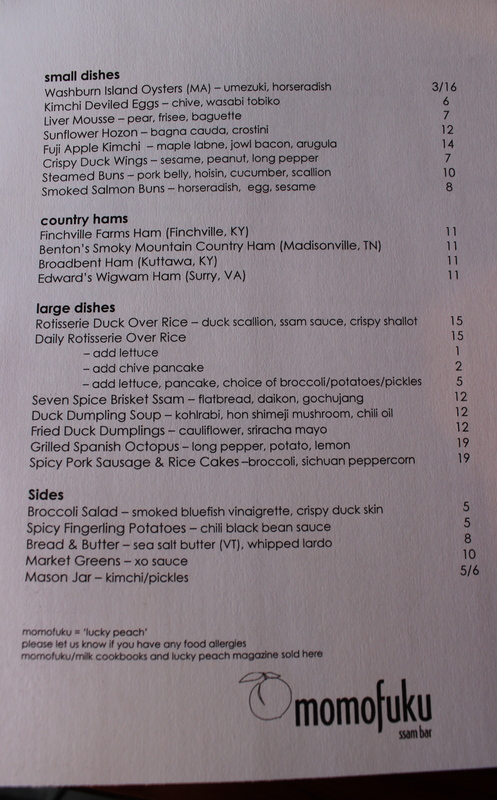 Momofuku Ssam Bar? Double Yes! But, if I were forced to choose among them I would have to choose Momofuku Saam Bar, for one simple, affordable, yet delicious reason: the steamed pork bun. 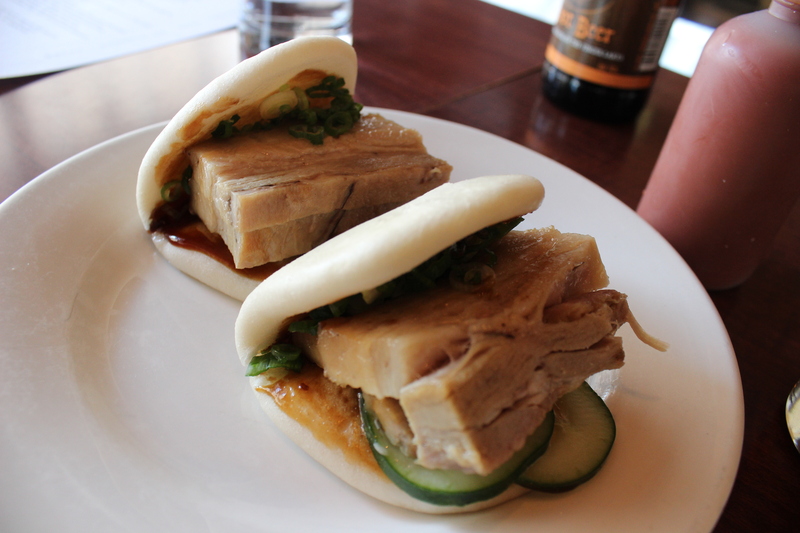 There is no better steamed pork bun in the City, and probably the world. Come in without a reservation, have a seat at the bar, and bliss out on some of the best of what NYC has to offer. No judgment, and SO New York. Take that Le Bernardin! This entry was posted in East Village and tagged asian, restaurant, snack. Bookmark the permalink.